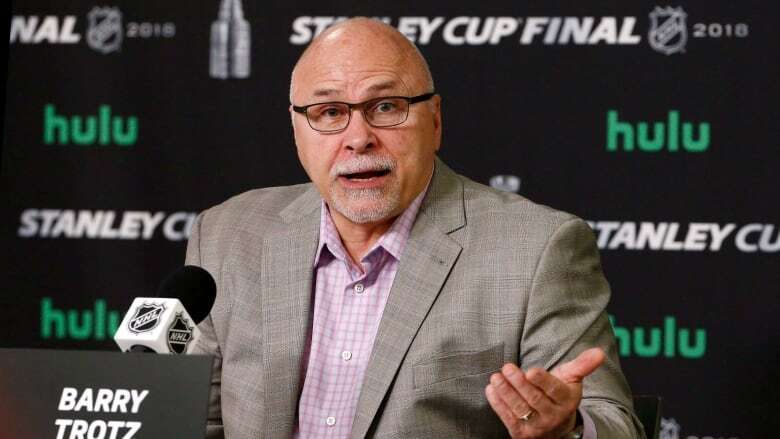 When Barry Trotz left the Washington Capitals fresh off winning the Stanley Cup, the New York Islanders couldn't move fast enough to talk to him. The Capitals weren't willing to pay top dollar to keep Trotz in the fold, so the Islanders pounced and have a fresh selling point to try to retain face of the franchise John Tavares. Trotz, who brings his resume with the fifth-most wins in NHL history, two Presidents' Trophy seasons and now a Stanley Cup, has already been in touch with Tavares, a 27-year-old point-a-game centre who can begin speaking with other teams next week and become a free agent July 1.